"He saw the world in a way no one could have imagined." What happens when mental illness collides with extreme intelligence and is complimented by love? "A Beautiful Mind" does. A timeless film, based on the true story of the incredible world of the mathematician John Nash, Russell Crowe delivers a stellar performance. Directed seemlessy by Ron Howard and co-starring Jennifer Connelly as his young sweetheart turned understanding wife, the film never disappoints. Spanning years from Nash's college years to the golden ones, the mental illness is the main driving force behind the story line. But the underlying love and tenderness brought to the screen by Miss Connelly shows that even through the worst of times and situations, love can actually win out and overcome. Paul Bettany, another supporting player in the fine cast, is utterly convincing as Nash's college roommate and confidant. The relationship is one that everyone wishes to gain in their lifetime, however the twists and turns the relationship takes in the film are some of the best offered on film. Add to the mix, one last multi-level character that Ed Harris brings to Parcher, the Government agent working with Nash on top-secret CIA workings. Harris' portrayal of Parcher brings in elements the viewer will never see coming and will think of days after watching the fine film. 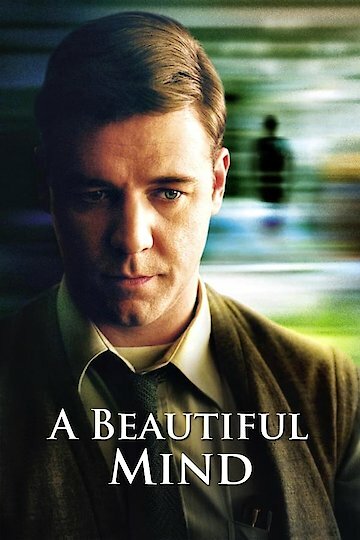 "A Beautiful Mind" is a classic movie that is a study in so many pieces of the human makeup. Whether watching it simply for enjoyment, or possibly for an assigned piece perhaps for a psychology class, you will come away with a film you will want to watch more than once to understand all the layers Ron Howard brings to it with his phenomenal directing. An excellent testament to any movie is if it leaves the viewer wanting to know the characters personally and even more, then it did its job. If the story is so captivating that the hours invested in watching it simply fall away and you hardly want to blink you are so involved, then it will be a film that lasts a lifetime. "A Beautiful Mind" does all this and so much more. Watch it, re-watch it and share it. A Beautiful Mind is currently available to watch and stream, buy on demand at Amazon, Vudu, Google Play, iTunes, YouTube VOD online. Nobel-prize winner John Nash, along with wife Alicia, was killed in a car accident on Saturday. Nash's work in mathematics and economics had a major impact on the world, and inspired the movie "A Beautiful Mind."